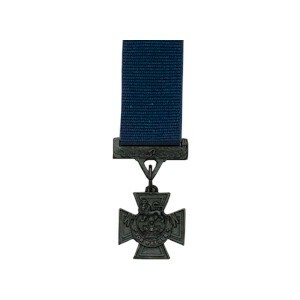 Ribbon: Up until 1918 Naval Victoria Crosses were issued with this blue ribbon. Comments: Introduced as the premier award for gallantry, available to all ranks, to cover all actions since the outbreak of the Crimean War in 1854, it was allegedly created by Prince Albert, the Prince Consort. Of the 1,355 awards given since 1856, only 107 have been awarded to Royal Navy personnel.